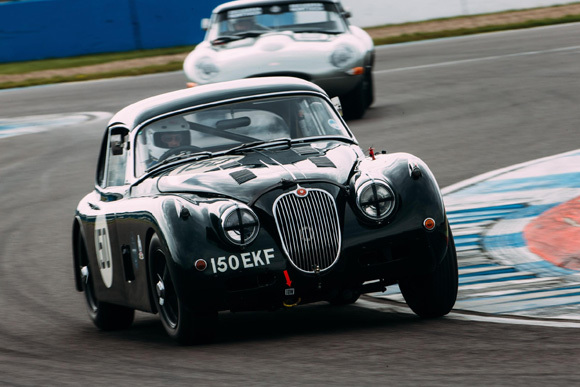 The first race of the second season of the Jaguar Classic Challenge opened in dramatic style with the pair of Julian Thomas and Calum Lockie taking the chequered flag. 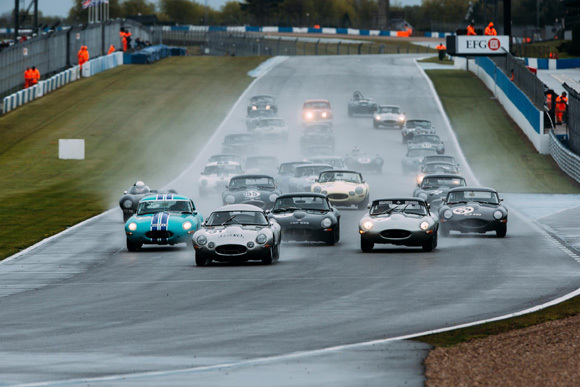 The season opener at the Donington Historic Festival began in perfect conditions with bright sunshine and a warm track in the morning qualifying. 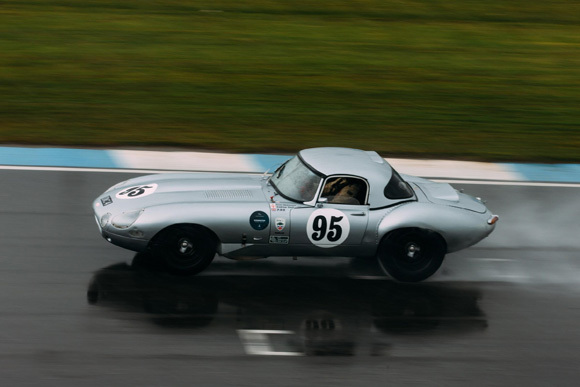 Julian Thomas topped the time sheets in his E-type from Joaquin Folch-Rusinol joining him on the front row and Martin Stretton third fastest, both in E-types. 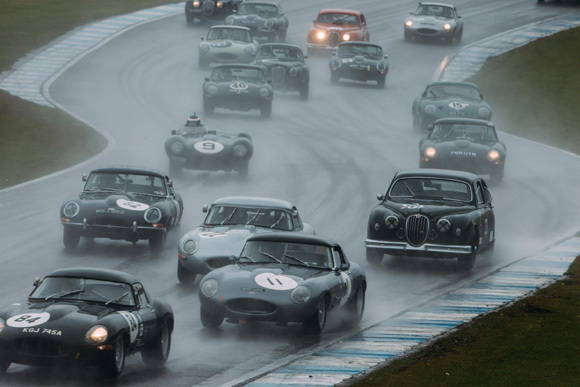 However, the race itself was run in less-than-perfect weather as the rain came down to add an extra degree of difficulty for the drivers. From the off, the pole sitters got away to a brilliant start with Calum Lockie at the wheel in wet conditions and lead the field through the first corner. 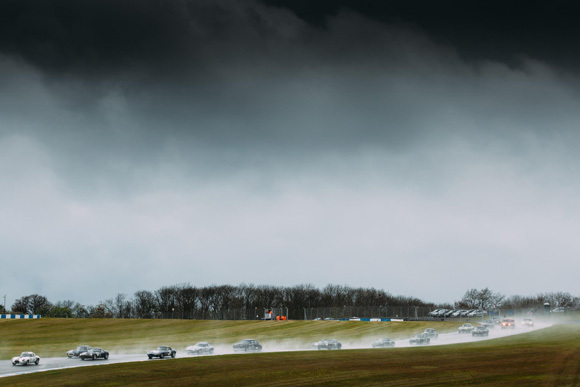 He began to get into a rhythm, but John Pearson was on a charge and lead from the front for the next 20 minutes, with Lockie staying with him on a sodden track. As always, the driver change served up its usual mix of drama and as Lockie swapped with Thomas at the 20-minute mark, he began to close on Pearson as the intense rain changed the complexion of the race. 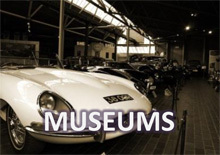 The lead changed hands on more than five occasions and the driving was heroic from all the drivers in the adverse weather conditions. 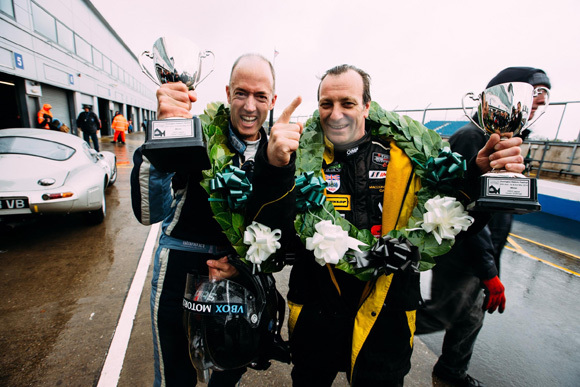 Coming into the final part of the race, one of four drivers was in contention for the win including Martin Stretton, and the team of Joaquin Folch-Rusinol/Simon Hadfield. 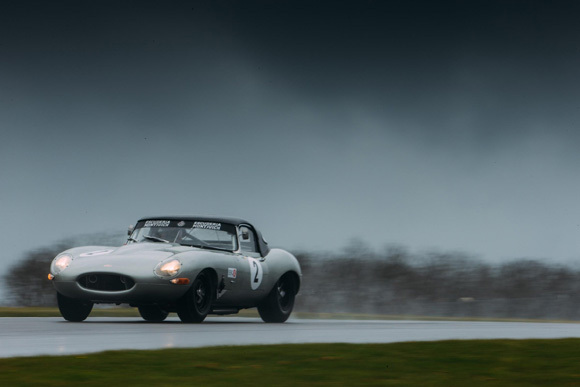 Thomas held his nerve in the closing stages to cross the line in first by seven seconds from a fast-charging John Pearson in his E-type finished second, while Martin Stretton finished third behind Pearson in his E-type. 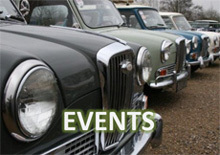 Class A was won by Marc Gordon in his XK150 followed in second place by Claire and Chris Keith-Lucas also in an XK150. 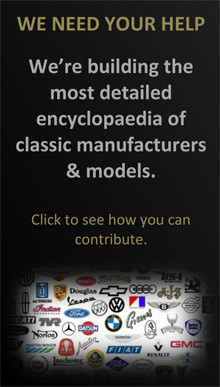 Class B honours, and Driver of the Day, went to Roger Cope in his Mk I for a superb ninth overall in the 31-car field. 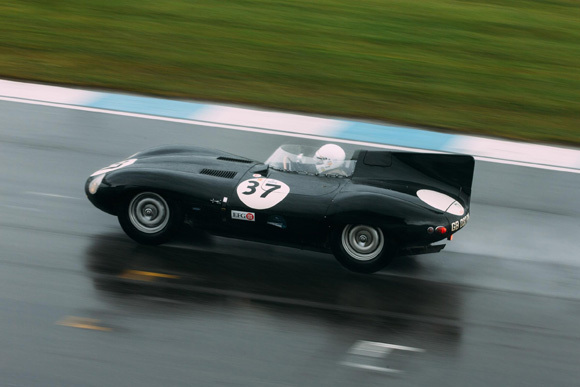 The duo of Diane Osborne and Stephen Radcliffe finished second, also driving a race prepared Mk I. Gary Pearson in the iconic D-type took the class honours for Class C followed by Benjamin Eastick in second, also in a D-type. 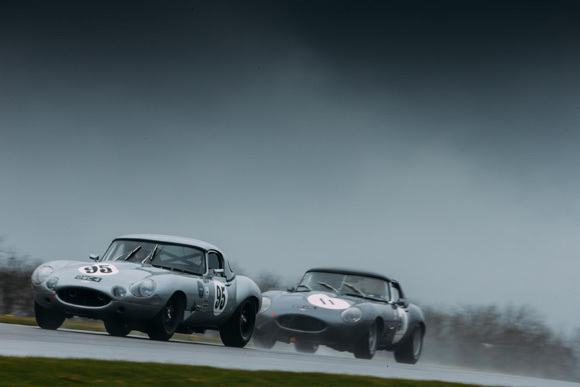 Class D was a close-fought affair with E-type drivers of John Burton, Ben Shuckburgh and Bob Binfield finishing first, second and third respectively.